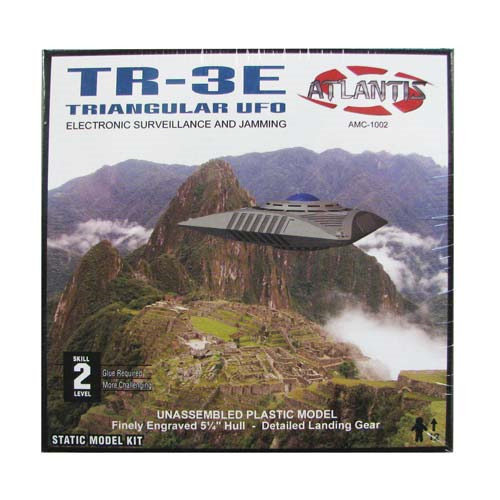 The TR-3E Triangular Anti Gravity UFO 1:72 Scale Model Kit comes molded in 2 half sections of the crafts hull with 3 separate pieces for the landing gear. Measures 5-inches each side. Detailed instructions included. Requires glue for assembly, Not included. Skill level 2. For ages 12 and up.